The Coalition government has attacked the CFEMU for a "culture of contempt for the law," following the release of a report indicating record levels of criminal activity on Australian building sites. A new report has uncovered nearly 1000 violations of federal workplace rules on construction sites around the country in the year to June, with union officials disproportionately represented amongst alleged lawbreakers. The report released by the Fair Work Building Industry Inspectorate describes “alarming rates” of criminal activity on Australia’s building sites, and refers to an “increasing battle” against members of the Construction Forestry Mining and Energy Union (CFMEU). 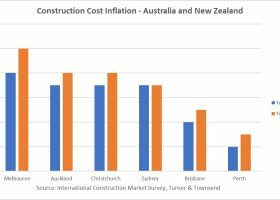 According to the Fair Work Building and Construction report 2014-15 saw a 50 per cent leap in legal action within the building sector to reach unprecedented heights, with most cases involving the CFMEU. The state of Queensland in particular has emerged as a “hotspot” for complaints within the building sector. The number of penalties imposed upon union members for right-of-entry infractions saw a staggering tenfold surge during the 2014-15 year, while those for coercion leapt 64 per cent. Inspectorate head Nigel Hadgkiss decried a “severe lack” of the rule of law within the construction industry despite the concerted efforts of the agency to stymie criminal activity. “I regret to report that the 2014 – 15 financial year has been marked by alarming rates of lawless in the building and construction industry,” said Hadgkiss in the report’s forward statement. The report’s revelations provide the Coalition government with ample ammunition to attack the opposition Labor party and its leader Bill Shorten for their extensive involvement with the unions. Lets get real here. Take away the political incentives entirely in the rhetoric surrounding this topic and we must assume that more than one party is involved here. The blame game is no solution. Any real or true effort to reform the industry MUST consider first the underlying culture(s) in the industry, the incentives to criminality and the means both available and used. Lack of corrective processes is another important factor. Labelling, blame and finger pointing are anathema to resolving the issues. All else is just politics – unfortunately as usual in Australia with our dichotic oppositional political system. There is another way. Whilst alarming, I think we need to put the apparent 'surge' in cases into proper perspective. Upon the Coalition coming into office, the FWBC's role and mandate changed completely, and it's focus shifted back toward much tougher enforcement action. That saw a massive jump in the number of cases under investigation from the end of 2013 onward and thus a massive jump in the number of prosecutions and convictions during the 2014/15 financial year. Accordingly, this jump in cases which we see is more a function of the regulator's changed focus than any deterioration necessarily in the workplace relations environment. That said, the figures do underscore the trouble with the workplace environment and the lawlessness which includes (but is not solely related to) unions.